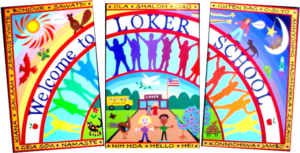 Welcome to Loker School and to the Loker PTO! Whether you are new to Wayland public schools or have older children, we hope you are as excited about building a strong Loker community as we are. As parents, you are joining a vibrant, active and engaged parent teacher organization, and we look forward to working with you over the next several years of your child’s elementary school experience. The best way to make the most of the coming school year is to get involved! Check out our events calendar and join us at the family socials, book fairs, or talent show…just to name a few of our awesome events! Participate in the PTO fundraiser, Gift Your Child, or contact us to see how you can get more directly involved by volunteering!